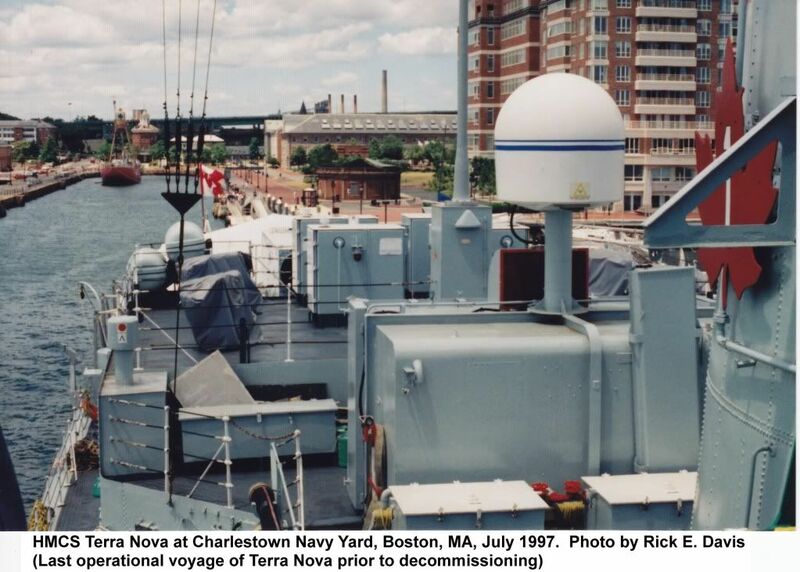 The Ship Model Forum • View topic - Calling all St. Laurent class (RCN DE) fans! Calling all St. Laurent class (RCN DE) fans! 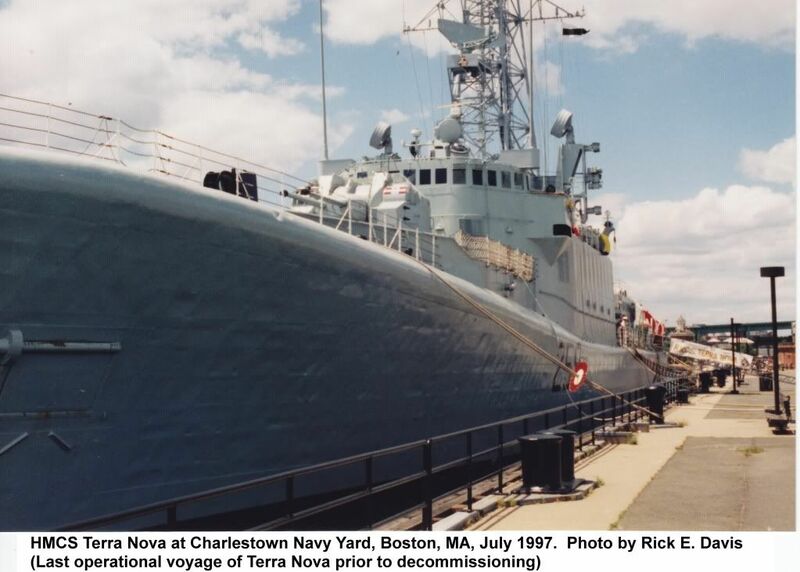 Post subject: Re: Calling all St. Laurent class (RCN DE) fans! lenght between perpediculars is 356 fts for all ships,lenght overhall for 366 ft except for the converted ships which is 373 fts 2 inches 11/16,no pun intended.This data comes from the plan I have at home for the hull lines of all classes This plan comes from the canadian vickers shipyard . Well, I am glad that the length issue seems to be resolved too. I was going off the Vanguard plans i have for Fraser, St. Laurent and Annapolis. Even my copy of Janes Fighting Ships 88-89 and some other books on St. Laurent class ships has the length of Nipigon/Annapolis at 371 feet so I thought that was a good number. I guess the only thing I need to worry about know are the different stern configuations for the various ships. hi james no need to be sorry even if i had gone with 371 the differance would be only 1/2 in.no one would notice you have been more than helpful,thanks a lot. 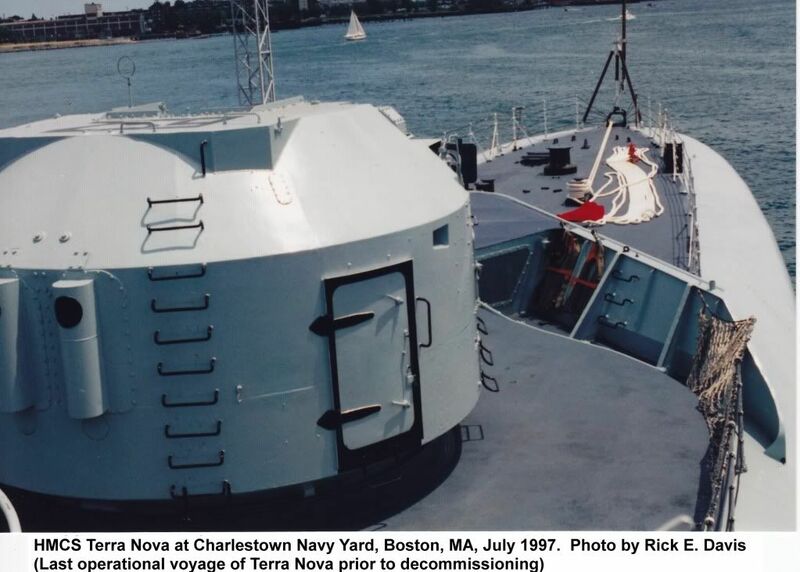 does anyone know if the towing array on the stern is open to the morters,or is there a bulkhead between them.i cannot find any pic or info on this area.i will have to find this out before the deck is put on as it would not be nice trying to do it after the fact.thanks. There is a bulkhead with a step in it. I can get you more info in a few days. It isn't FRAZER and it is out of focus, but it is a view into the Limbo Well. 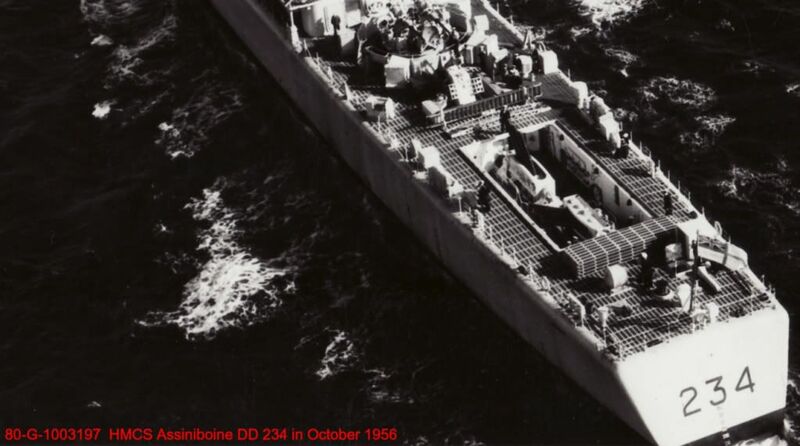 HMCS ASSINIBOINE in a photo dated October 1956. 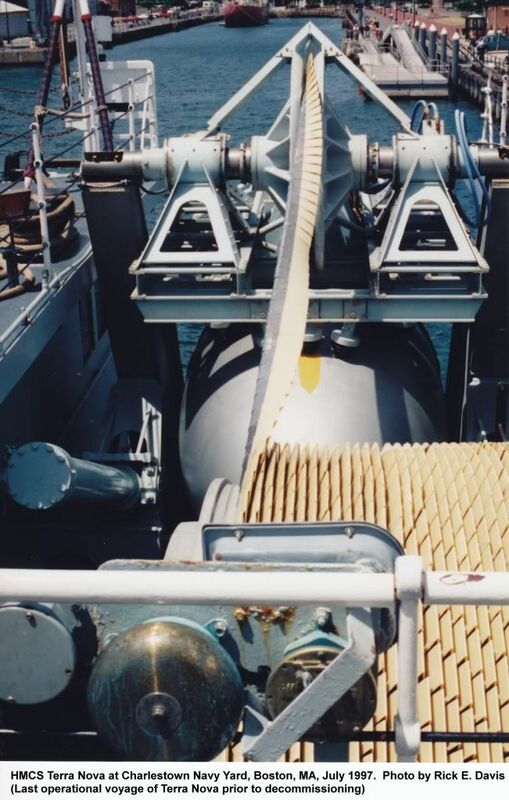 Found this close up of HMCS Kootenay's Limbo. I know they're from Restigouche-class ships but they might prove somewhat useful. I ran around on Flickr trying to find one of those random crew taken shots of the area but couldn't find any taken on HMCS ships. Plenty of RAN and RN though... I gave my Jane's books a look too but no joy there either. 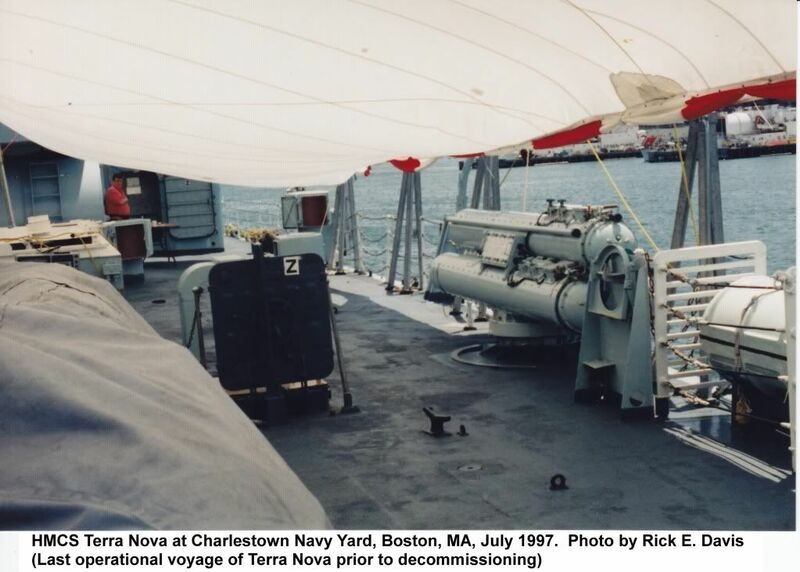 Going through photos I took on a trip to Boston in early July 1997 I came across these photos of HMCS TERRA NOVA (a RESTIGOUCHE class unit) that was a visitor to Charlestown Navy Yard NPS Park (near USF CONSTITUTION during her going back to sea again after her major reconstruction/repair on 4th July). 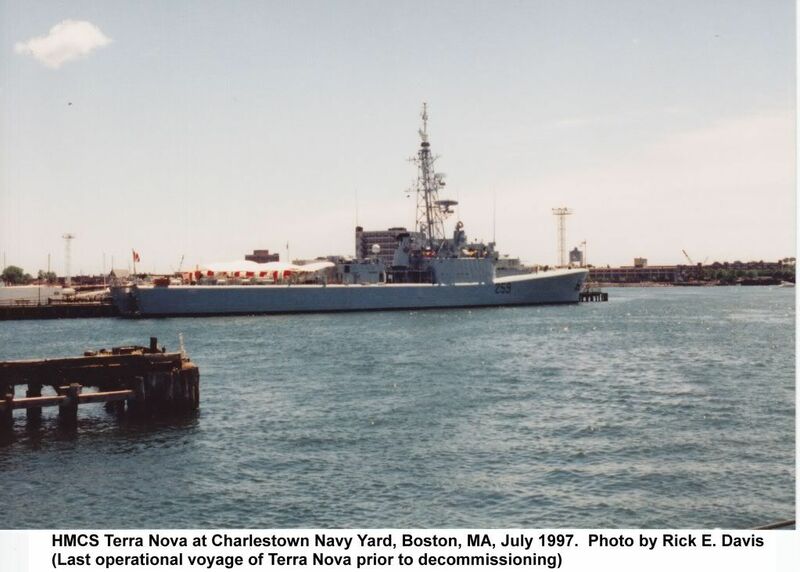 I understand this was TERRA NOVA's last operational voyage visit ... TERRA NOVA was decommissioned on 11 July 1997. These images are scanned from color prints that I took. As you can see, I focused on "details". hello guys,i was wondering if anyone knows if this is a track for a traveling hoist.and what did they move with it. 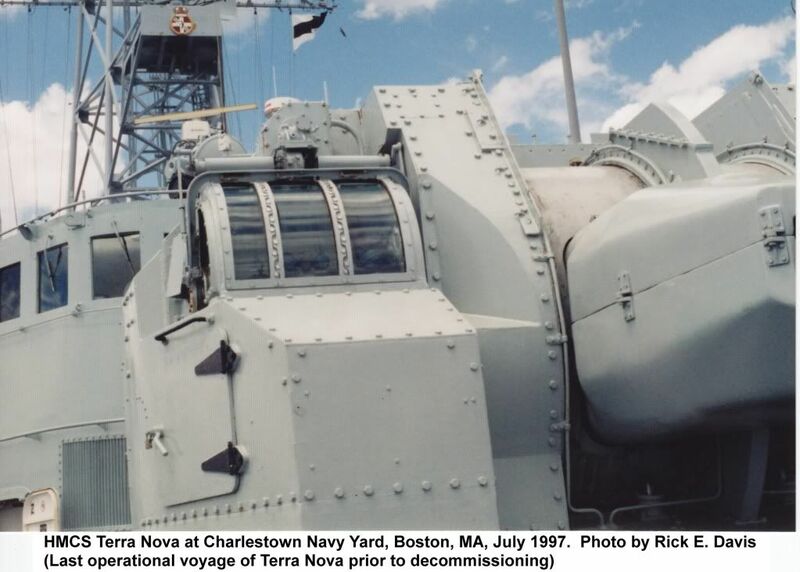 Where are the torpedo tubes in relation to the track? 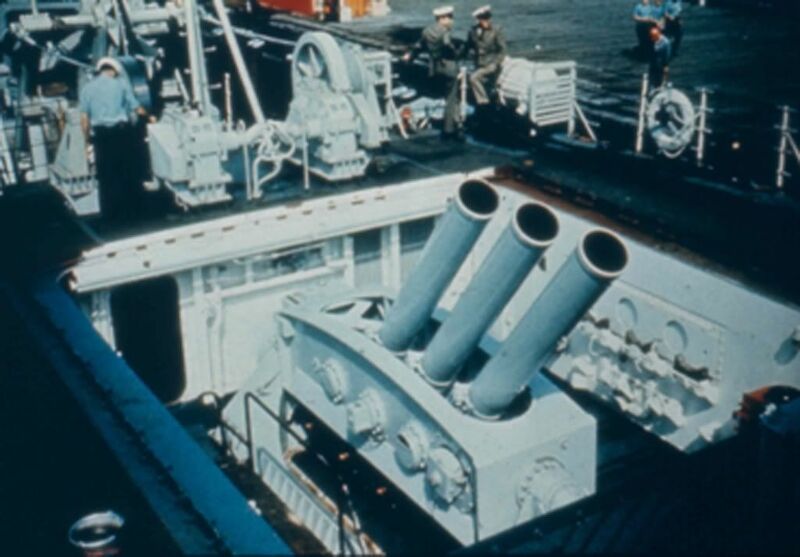 You can see the triple launcher to the left. 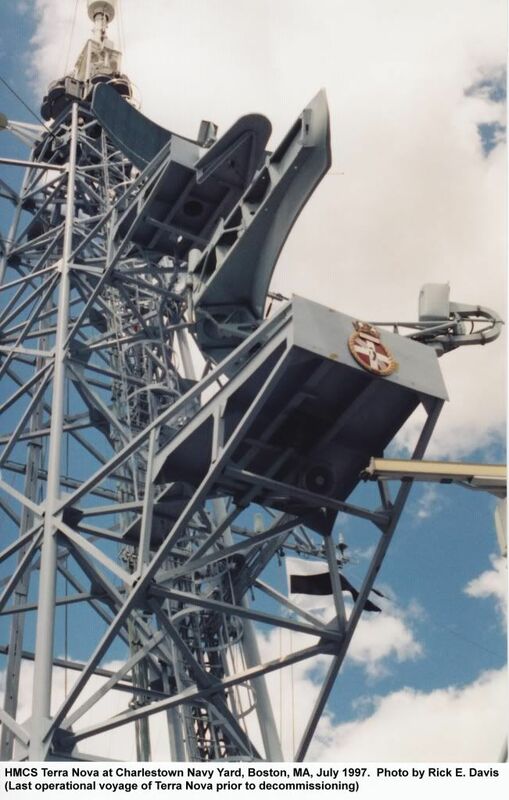 I'm pretty sure this is the torpedo loading and moving hoist track. They bring them on board at the stern and store them in the room the track goes into. Hey gang, I just started the 1/350 kit from The Resin Shipyard.....Love it! Looking forward to your progress, Steve!